Redacted without footnotes from “’What Country, Friends, Is This?’: Touring Shakespeares, Agency, and Efficacy in Theatre Historiography.” Theatre Survey 54.1 (2013): 51-85. Touring theatre is a place where theatre studies and globalization come into contact. The year of 2012 was a year of global festivities in which Shakespeare’s works played a major part. Through their exemplary power, the intersections of world cultures and Shakespeare provide a set of important issues for repositioning theatre studies in the wider field of globalization studies. How does Shakespeare make world theatre legible in the British context? What roles have “foreign” performance styles played in the rise of Shakespearean theatre as a “global” genre and to post-imperial British identity in the world? More specifically, what does it entail for international touring theatre artists to perform Shakespeare in Britain and for the British press to judge these touring productions? Some answers to these questions can be found in the patterns of production and reception of Shakespeare in postnational spaces—festival venues where national identities are blurred by the presence of such entities as transnational corporate sponsors. Some of the touring theatre works in 2012 were produced under circumstances that may prove challenging or alienating to even the most cosmopolitan audiences. Shakespeare in the diaspora puts pressure on some of the theoretical models theatre historians have privileged in their documentation of the Western sources of non-Western performances. In particular, the reception of touring performances is informed by issues of politics, language, and performantive cultural affiliations. First, the cultural and political conditions of a venue or a production intervene in reception and undercut the work of artistic intent. This genre of stage works is shaped by forms of agency that are not rooted in intentionality. Second, in Shakespearean performance, language is often granted more agency than the materiality of performance, leading to the tendency to privilege certain modernized and editorialized versions of Shakespearean scripts and their accurate reproduction in foreign-language performances. The humanities over the past century have witnessed the so-called linguistic turn, the semiotic turn, and the cultural turn, all of which operate on assumptions about the substantial and substantializing power of language as opposed to the materiality of cultural representation. As opposed to other forms of embodiment, language as a marker is deeply ingrained in identity politics. Language is a tool of empowerment to create solidarity, but it can also be divisive at international festivals where audience members who do not have access to the immediacy of the spoken language on stage might feel alienated or excluded. Third, Shakespeare productions that tour to the United Kingdom reflect shifting locational terrains of performative meanings that—unlike nationalist imaginations of Shakespeare—do not always correspond to the performers’ and audiences’ cultural affiliations. The systemic mutations in the politics of cultural production and compression of time and space engender variegated, layered subject positions. Directors from Africa, Asia, and Latin America who tour their works to the U.K. often make revisions to accommodate the performance space and audiences of international festivals, dictated by the cultural prestige of the exporting nation. In contrast, the Royal Shakespeare Company (RSC)—occupying a more privileged position in the Shakespearean circle—does not usually localize its productions for the purpose of international tours (e.g., Loveday Ingram’s The Merchant of Venice, starring Ian Bartholomew, in Beijing and Shanghai, 2002). Organizers of the 2012 London Olympics and the Cultural Olympiad proclaimed Shakespeare, once again, the bearer of universal currency. Much more ambitious than the Royal Shakespeare Company’s 2006 Complete Works festival, the 2012 Globe-to-Globe (part of World Shakespeare Festival) was an integral part of the Cultural Olympiad to celebrate the Olympics. The festival was presented by the Royal Shakespeare Company, the EIF, and the Globe to Globe program. Opened on 21 April, it brought theatre companies from many parts of the world to perform Shakespeare in their own languages (“37 plays in 37 languages”; Fig. 3) “in [the London] Globe, within the architecture Shakespeare wrote for.” In fact, thirty-eight Shakespearean plays were performed in languages ranging from Lithuanian to sign language. This is arguably one of the most important festivals since David Garrick’s Shakespeare Jubilee in 1769 that jump-started the Shakespeare industry and tourism in Stratford-upon-Avon. The World Shakespeare Festival, unlike the previous RSC Complete Works Festival, included almost exclusively non-English-language performances. The WSF also made an effort to cover Africa, the Americas, Russia, Asia, Europe, and New Zealand. In terms of geographical distribution during the WSF, European companies alone offered fifteen touring productions to the festival including British Sign Language performances. Asian companies offered eight productions (not counting the Maori Troilus and Cressida), African companies six, and Middle Eastern companies six. Groups from Argentina, Brazil, Mexico, and the US also brought productions to the WSF. Both the Olympics and the Globe’s festival focused on participants from many nations and on brands in promotional efforts. The parallels between sports and performance have been explored in various studies. Hans Ulrich Gumbrecht attributes the fascination with watching sports to a very literal sense of aesthetic experience, namely the nature of athletic beauty. J. P. Singh argues in Globalized Arts that “creative products” can be incorporated into local and global markets to address cultural discomfort and anxieties about globalization. Some visiting companies and audience members who spoke the languages the companies used in their productions saw the festival at the Globe as an opportunity to assert identity. Both the Olympic Games and the Cultural Olympiad share a common goal of promoting mutual understanding among countries, but they also fuel nationalism in various guises. Despite the London Globe’s effort to market the international Shakespeare productions by focusing on the languages of the plays and the cities of origin of the companies rather than their countries (e.g., a Hebrew Merchant of Venice from Tel Aviv; The Comedy of Errors from Kabul), national flags appeared online and were brought onstage while enthusiastic crowds of expatriates cheered on. Similar to international sporting events, the multicultural celebration of languages inevitably fueled nationalist sentiments in various guises that ranged from political protests to celebration of independence. For instance, a 12 × 4.5-inch image of a crowd waving flags of the Republic of South Sudan (est. 2011) adorns the Globe’s Web page advertising the South Sudan Theatre Company’s Cymbeline in Juba Arabic. At the curtain call of Dhaka Theatre’s Tempest at the Globe on 8 May 2012, one of the actors reappeared onstage wrapped in the Bangladeshi flag. The gesture connected an artistic achievement with national pride. More controversial were the street demonstration outside the Globe Theatre and calls to boycott the Israeli company Habima’s performance of The Merchant of Venice. Prominent in the marketing language of the World Shakespeare Festival (of which Globe to Globe was a part) was Viola’s aforementioned question in Twelfth Night, now made rhetorical: “What country, friends, is this?” appears with an image of a marooned ship on the WSF’s website to advertise the RSC’s “shipwreck trilogy” (The Comedy of Errors, Twelfth Night, and The Tempest) and to serve as a tongue-in-cheek reaction to the deliciously confusing festival. The idea seems to be that if each country’s artists fully embody the essence of their culture, the audience would be able to tell which country it is at first blush. The Q Brother’s ninety-minute hip hop Othello: The Remix was invited to represent the U.S. at the Globe. Set in modern-day U.S., the story about the reigning king of hip hop was acted and narrated by a cast of four men in jumpsuits, with a DJ up in the balcony. The production was among the first show to be sold out, and attracted a large number of young audiences. There were moments in several productions when questions about cultural and geopolitical identities ceased to be rhetorical and became pressing in a productive way. The Belarus Free Theatre’s production of King Lear was refreshing and challenging, partly because few audience members were familiar with Belarus and its culture. The facetious performance treated the play as a comic folktale that spirals into tragedy. Lear wobbled onstage with a thatch of white hair atop his slender frame, only to throw off the wig and reveal his jovial self. The play did not seem to need a Fool. The division-of-the-kingdom scene was presented as something akin to a reality TV show involving a rival striptease among the daughters. It is a different story with other troupes. One of the contributions of touring productions and theatrical contingency is that Viola’s question will be asked with increasing urgency and will prompt more reflections on cultural identities that have been taken for granted. “Shakespeare” is a canon that is supposedly familiar to educated English speakers, but it is increasingly alien to the younger generation. If the Belarusian Lear estranged Shakespeare in linguistic and artistic terms, the hip hop Othello made Shakespeare more familiar and relevant. Thus, the Globe to Globe seasons and other similarly structured festivals including Edinburgh International Festival and the Barbican International Theatre Events pitched Shakespeare as global celebrity against Shakespeare as national poet and created a new brand with contemporary currency and vitality. What is left unarticulated, however, is how foreign Shakespeares have been deployed to validate and elevate the status of English Shakespeare performances, especially at a venue such as the London Globe. Festival organizers have a curatorial function in bringing together and presenting works by diverse groups. Touring Shakespeare productions share some features with international spectator sports; both require international travel, both are capable of garnering media attention, and both thrive on the unpredictability of the outcome. The theatre audience is simultaneously an outsider (to the foreign style) and an insider (familiar with certain aspects of Shakespeare). Festivals and special events have played an important role in bringing touring productions to London, Stratford-upon-Avon, Edinburgh, and other U.K. cities. In 1994, the Barbican Theatre hosted a festival entitled Everybody’s Shakespeare that offered performances by the Comédie-Française (Paris), the Suzuki Company of Toga, Tel Aviv’s Itim Theatre Ensemble, Moscow’s Detsky Theatre, and the Düsseldorfer Schauspielhaus. Of interest is how the organizers turned Shakespeare on tour into “consumable chunks of popular culture” in a workshop of metonymic equivalences (the cherry blossom for Japan, drumming for Africa, the carnival for Brazil, and so on). As is the case with many touring productions, the reception of this festival was characterized by conflicting strands of what Peter Holland has aptly summarized as “xenophobic suspicion at the sheer unEnglishness of the work” and cultural elitism that assumes that the novelty of Shakespeare in Japanese is superior to English Shakespeare conventions. For some critics, the language barrier proved to be an insurmountable obstacle, as Charles Spencer commented: “There we sit, following [the] surtitles while listening to the performers delivering the matchless poetry in an incomprehensible tongue.” He wrote with a sense of national pride, and many critics operated under a similar assumption of cultural exclusivity, though few voiced their disapproval in such a radical form. During the World Shakespeare Festival in 2012, the Globe devised a strategy to divert attention away from the surtitles to the action onstage and applied it uniformly to all of the productions in different languages. The purpose was to remove language as a distraction, if not an obstacle, in order to allow for certain degree of improvisation. One obvious limitation is that the architectural space of the Globe is not ideal for line-by-line surtitles because of the pillars and the thrust stage. Only short summaries of the scene—written by the Globe staff in consultation with the visiting companies—were projected on the two screens next to the stage. According to Tom Bird, the synopsis surtitles were meant to avoid the elitism associated with line-by-line translations of Shakespearean texts. The plot summaries are based on Shakespeare’s script most of the time rather than performative choices or improvisational elements. Obviously no synopsis can be neutral whether it is based on narrative or dramaturgical structure, because it involves interpretive acts. As the actors worked with and against the surtitles, the synopsis surtitles redirected the audience’s attention to the tension between the plot and dramaturgical structures. In the Mandarin Richard III, short English phrases were inserted by actors playing the two murderers for more immediate comic effect. In another production, the actors mocked the surtitles. The audiences were told not to trust what was being projected “up there.” Such moments of textual resistance became more noticeable through the synopsis surtitles. Some touring or intercultural productions were seen as showcases for the exotic beauty of unfamiliar performance traditions for cultural elites. Targeting audiences who are bored by an overworked Shakespeare through the education system, these productions are not for purists. A few strands dominate in the narratives surrounding this type of productions, ranging from celebration of other cultures’ reverence of Shakespeare (e.g., the “Shakespeare Is German” season at the London Globe in 2010) to suspicion about delightful but bewildering (for the press at least) productions that are fully indigenized. The Globe has played host to numerous such productions, and the RSC often sets English-language performances by British actors in non-British locations. Directors face a dilemma, as they are caught between pursuing authenticity and “selling out.” For example, the RSC’s recent English-language productions of two plays, one Chinese and the other Shakespearean, have reignited debates about cultural authenticity. The first is Gregory Doran’s adaptation of Orphan of Zhao with an almost exclusively white cast of seventeen. British actors of East Asian heritage have spoke up against the practice of “non-culturally specific casting,” in Doran’s words, or colorblind casting. The politics of recognition can be a double-edged sword. One the one hand, intercultural theatre is important testing ground for ethnic equality and raises questions of equal employment opportunity in the UK. On the other hand, can an all-white cast not do justice to the Orphan of Zhao just as an all-Chinese cast performed Richard III at the London Globe and in Beijing? Why would an English adaptation of a Chinese play have to be performed by authentic-looking East Asian actors? The second is Iqbal Khan’s Much Ado About Nothing that is set in contemporary Delhi and staged at the Courtyard Theatre in Stratford-upon-Avon in August, 2012. Clare Brennan, writing for the Guardian, believes that the transposition of Messina to contemporary Delhi works well, because it “plays to possible audience preconceptions about the communality and hierarchical structuring of life in India that map effectively on to similar structuring in Elizabethan England.” Performed by a cast of second generation British Indian actors to Bollywood-inspired music as part of the WSF, the “postcolonial” production (in Gitanjali Shabani’s words) was quickly compared by the press and reviewers to the two more ethnically authentic productions at the Globe from the Indian Subcontinent (Arpana Company’s All’s Well That Ends Well directed by Sunil Shanbag in Gujarati and Company Theatre’s Twelfth Night directed by Atul Kumar in Hindi). Cultural, linguistic, and ethnic pedigrees are part of the picture. Some critics question the RSC’s form of internationalism. Birmingham-born director Khan’s treatment of Indian culture is seen as too simplistic. Kate Rumbold wishes the production had not ignored but “ironized the company’s inevitable second-generation detachment from India.” Taking issue with the production’s “pastiche of ‘internationalism’, with apparently second generation British actors pretending to return to their cultural roots in a decidedly colonial way,” Kevin Quarmby states that the production offers “the veneer of Indian culture, served on a bed of Bradford or Birmingham Anglicized rice.” He concludes that “as the World Shakespeare Festival and Globe to Globe seasons have shown, ‘international’ is best understood in the context of the nations who embrace Shakespeare as their own.” The more difficult part of these debates concerns commercialized cultural and ethnic identities. Obviously art and commerce are not antithetical activities, but they have become inescapable predicates in the debates about the sociological and expressive values of touring and intercultural Shakespeare performances. In this second decade of the twenty-first century, touring foreign productions of Shakespeare have emerged as a new brand in Britain, competing side by side with British productions. 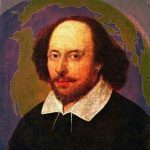 Non-English interpretations of Shakespeare’s plays are not lesser versions of their English counterparts. At the core of the touring phenomenon is the idea of returning to Britain as a geocultural site of origin (performing “within the architecture Shakespeare wrote for”), as an imaginary site of authenticity (e.g., the Shanghai Kunqu Opera’s adaptation of Macbeth, entitled The Story of the Bloody Hand, performed in Scotland in 1987), and as a privileged site for performative acts (both original practice and international Shakespeares are now the Globe’s main products). Part of the touring boom is created by festivals, internationally renowned films, and visiting companies, and part of it is shaped by British directors who incorporate non-Western performance styles into their productions, such as Peter Brook and Tim Supple, or who work with artists from other parts of the world, such as David Tse, and thereby raise awareness of a broader range of performative possibilities among British audiences. Many theatre artists rely on international spectators to disseminate their decidedly local works, and some festivals thrive on the ideological purchase of being “global.” Msomi’s 1970 adaptation of Macbeth may not have achieved international recognition without the 1972 production at Aldwych (as part of the RSC’s World Theatre Season) and the 1997 revival at the London Globe. U.K. tours are equally important for local companies. Thelma Holt Ltd.’s partnership with Ninagawa since 1990 has benefited both sides and made the Japanese director a mainstay on the English stage, and in 2004 Thelma Holt CBE received the Order of the Rising Sun, Gold Rays and Rosette at the Embassy of Japan in the UK in recognition of her contribution to mutual understanding through theatre exchange. Global Shakespeares have a deterritorializing effect, in the anthropological sense, that unmarks the cultural origins of intercultural productions because they work against assumptions about politically defined geographies in theatre historiography—artificial constraints that no longer speak to the realities of theatre making. Touring productions can also reterritorialize the plays upon arriving in a new location. In a world constantly in motion, representations of certain aspects of culture transcend territorial boundaries. These touring works can be best understood through theatrically defined cultural locations (e.g., a French–Japanese Richard II in Paris and on tour, a “culturally neutral” Richard III made in Beijing but presented in Berlin) rather than through political boundaries (e.g., when “Shakespeare in India” is used as unproductive shorthand for literary universalism). Simplified notions of the universal can be self-deceptive and even self-effacing. Theatre can produce and redefine visible and invisible cultural localities. Performance history is currently driven by polity, by periodization, and by continental divisions, and as a result it inadvertently creates myths of multiple unknowable objects. Touring global Shakespeares can uncouple speech and writing and problematize various conventions of authenticity and the kind of dramaturgical stability that dulls the edge of theatre. They can unsettle assumptions about the referential stability of Shakespeare as a textual and verbal presence and about non-English performances as a privileged, unified, visual signifier of otherness. Heretically, my hunch is that it was written by the same person who wrote the globally famous Canon.